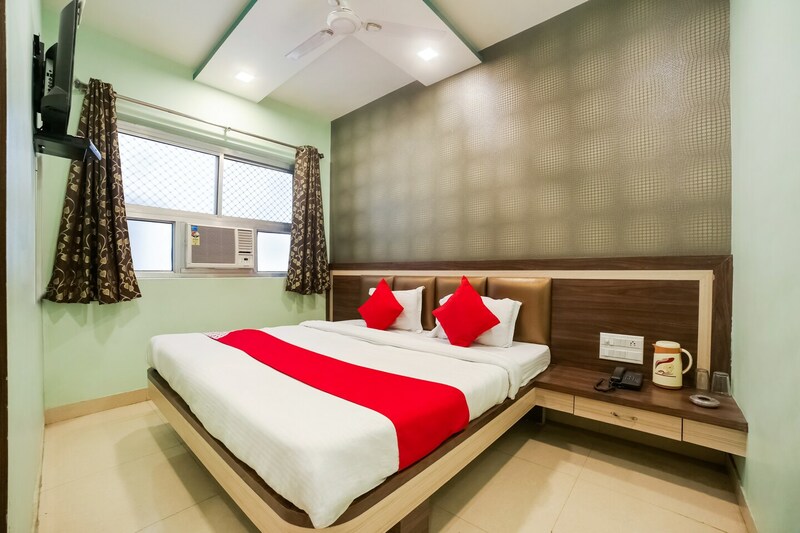 Hotel New Mahatma provides spacious and well-decorated rooms at economical rates. The fully furnished rooms are immaculate and brightly lit. The rooms have elegant interiors with light coloured walls, modernistic wallpapers, patterned curtains, and upholstered beds. The hotel offers facilities like free WiFi connections to browse high speed internet and power backup. The hotel premises have CCTV installed all around just to ensure the safety. The property is located in the Parao neighborhoof of Ajmer, which is almost adjacent to Ajmer Sharif Dargah. Also, the hotel is just a few meters away from the Ajmer railway station while the Ana Sagar Lake is only a short drive away.